I just finished my exponents unit in Algebra 1. It was interesting to me that some students that struggle seemed to really excel in this unit. This is really the first unit that didn’t depend heavily on their ability to solve equations - maybe that was part of it. 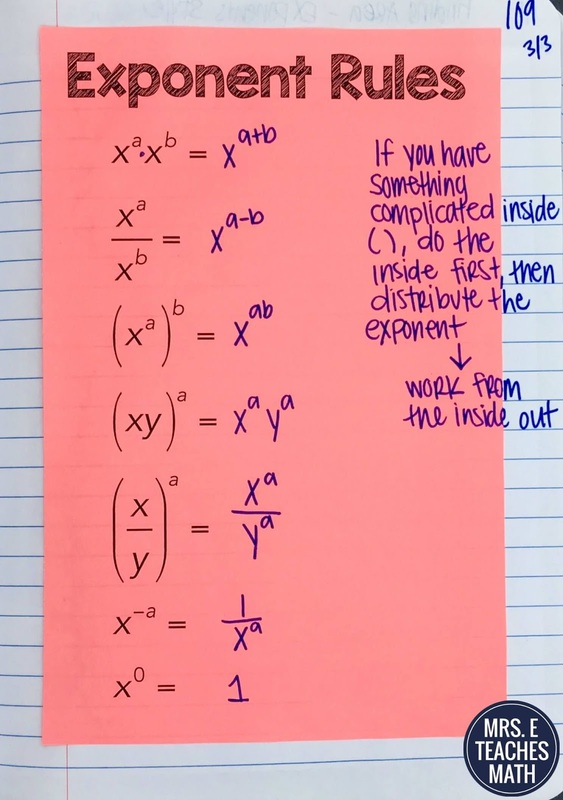 To begin, I made this page to remind students of the information they learned in pre-algebra. This page reviewed the expanding process. Also, it reminded them of the zero exponent rule and the negative exponent rule. Then, we completed this domino activity by Math Dyal. The next day, we talked about the multiplication properties of exponents. We completed this foldable and practice sheet. 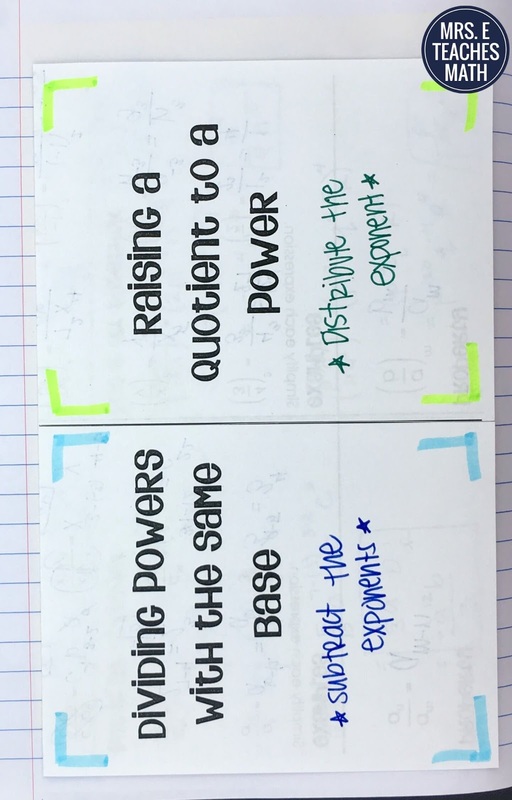 I’ve started adding practice sheets to a lot of my lessons. I usually have my students do a few at a time with a partner. I hate letting them start their homework during class (only like half of them do!) and I can get more kids to practice this way. 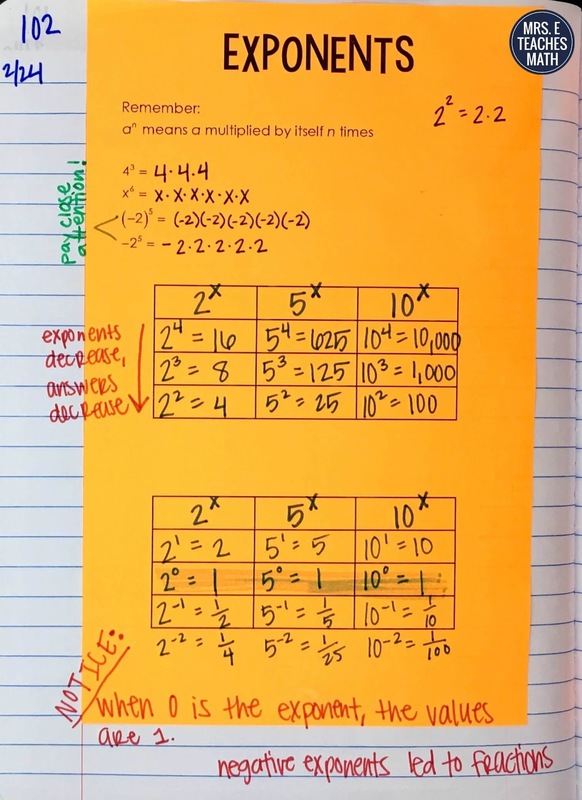 Then, we talked about the division properties of exponents. We completed this foldable. 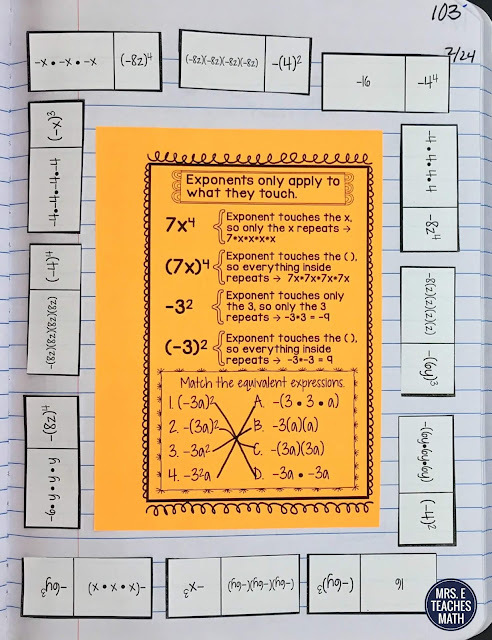 There were tons of examples inside the foldable, so I did not include a practice sheet for this lesson. 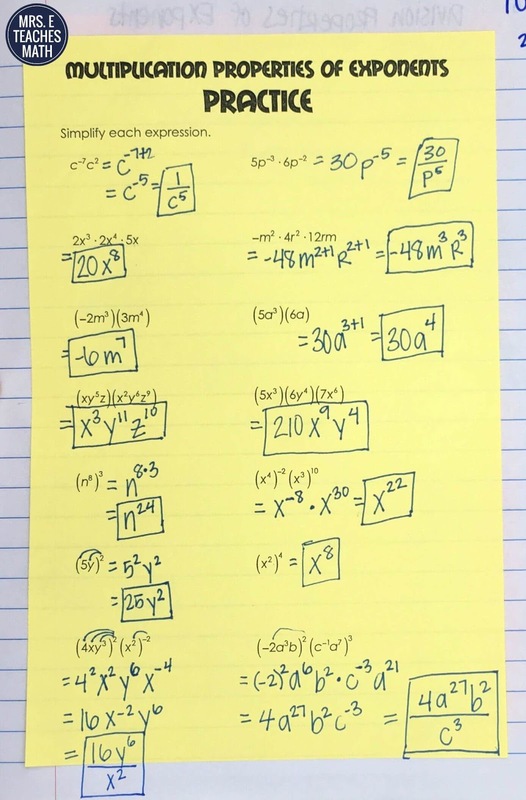 I gave them a sheet with all of the exponent rules summarized on it. I had them try to fill it in themselves before I showed them the completed sheet. The last page we completed was from Scaffolded Math and Science. It is just a worksheet, but I copied it at 80% so that it would fit in their notebooks. 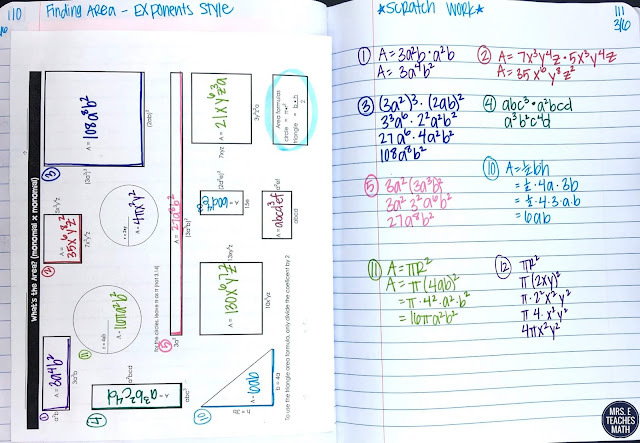 Students found the area of familiar shapes and used the exponent rules. Looking back, I would have completed this before the division properties. She has a few other pages like this and I need them all!! During class, we also played speed mathing, did a coloring sheet, and did a couple worksheets. 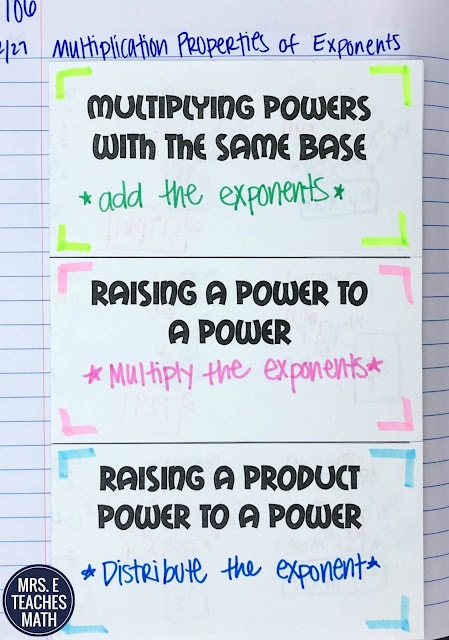 I think I want to include another activity or two in their notebooks for this unit next year. Thanks for sharing all the ideas!